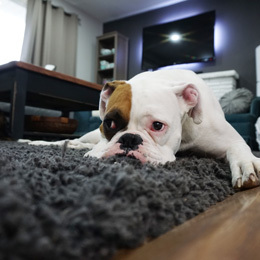 Area rugs of all sizes are thoroughly cleaned using portable equipment or truck mount systems. Steam extraction with detergent is used to rinse out dirt and soils, leaving rugs clean and vibrant. Stubborn spots that are not removed by the normal cleaning process are pretreated using an arrangement of different cleaning agents. Vibrant colors are again restored keeping in mind the integrity and longevity of the rugs. Are your Area Rugs too large to Transport? No problem! Just schedule an appointment with our delivery service line (203-329-0677), and one of our consultants will come to your home to pick it up. All at no extra cost! Carpets that are inside the home are cleaned in the same fashion as our area rugs. Our highly skilled technician visits your home upon scheduled appointment, and cleans the carpets within a certain time window. This ensures that minimal time is wasted, and that it is done quickly and efficiently. Furniture inside the home can be moved, if so requested by the customer. If necessary, carpets and rugs can be pre-shampooed before beginning the cleaning process. This loosens and suspends soils by gently agitating the rug, which makes the cleaning process easier. However, there is an additional charge for this service. 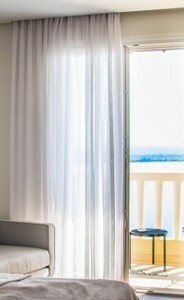 Sea Breeze Cleaners has the required skills necessary to effectively clean your delicate curtains and draperies. With great attention to detail, our highly trained staff inspects each item for stains, loose threads, and other attention areas. Curtain and drapes are cleaned using our most gentle solvents and conditioners and steam pressed to bring them back to life. Each curtain and drapery is neatly folded onto two (2) secure hangers, and sealed in our thick plastic bag. This ensures that the quality remains pristine even after storage. 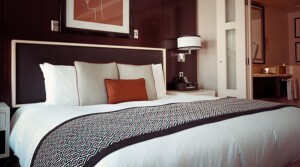 Unless otherwise instructed, bed linens and cushions are always cleaned using wet cleaning. Wet cleaning ensures that the fabrics are friendly to sensitive skin, since only non-toxic products are used. Bed linens can include such things as: pillows, comforters, duvets, bed sheets, quilts, and much more. Each item is thoroughly and gently washed so as to not disturb any of the materials found inside the bed linens, pillows, or cushions. Bed linens that only need to be laundered are better done at our facilities in order for proper cleaning to be ensured, as our industrial-sized machines are able to accommodate to any and all sizes. All cleaned and steam pressed bed linens, pillows, and cushions are placed in breathable storage bags. These bags come equipped with zippers for quick and easy access, and carrying handles for simple transport. Storage bags may be returned to our facilities to be properly recycled, if you do not wish to use them.